November | 2016 | ohdenny. 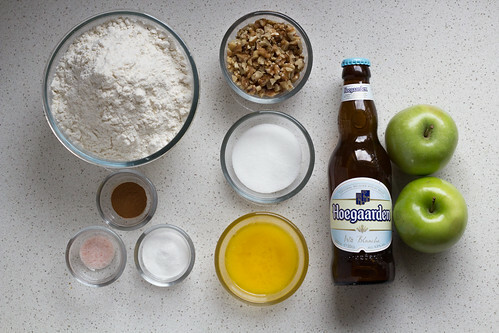 This recipe for beer bread is so simple and easy and requires no resting time or waiting for the bread to rise. 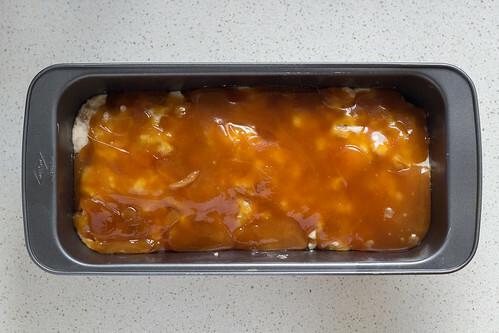 Simply just chuck all the ingredients together, and make the caramel sauce topping and put it in the oven! 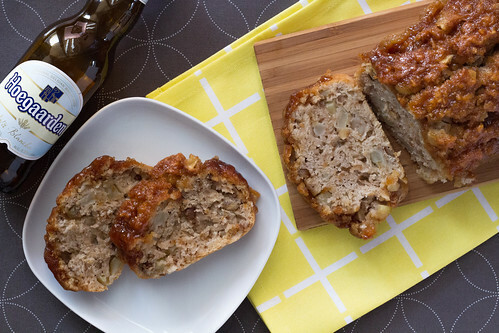 While it doesn’t have the yeasty flavour from bread, you get the subtle “wheaty” beer flavour with the apples, toasty walnuts and with that delicious crunchy caramel topping. It’s good I tell you. 1. Preheat oven to 175°C. 2. 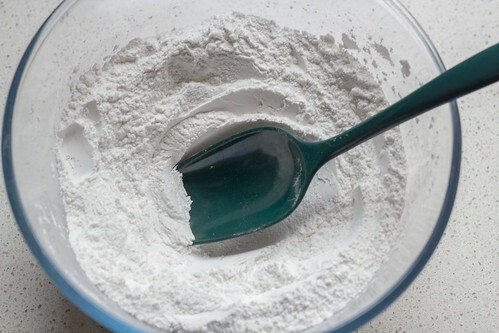 Sift the plain flour, baking powder, salt, sugar and cinnamon in a large bowl. 3. Add in the apple pieces and walnuts and stir until all mixed. 4. Pour in the beer and melted butter into the large bowl and stir until just combined. 5. 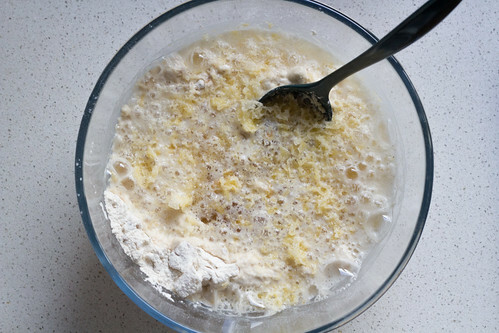 Scoop the bread mixture into a greased loaf pan and set aside. 6. 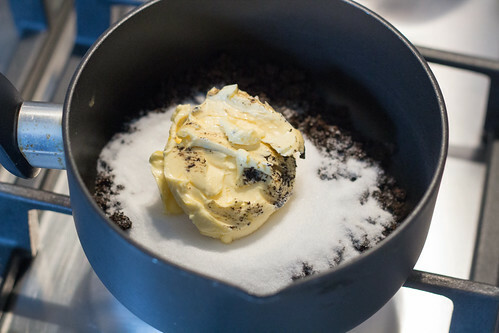 In a small pot, add the sugar, water and butter heat over high heat. Stir the mixture until the butter has melted, then allow to boil without stirring for around 5 to 6 minutes or until the mixture has turned an amber colour. Then remove from heat to cool slightly. 7. 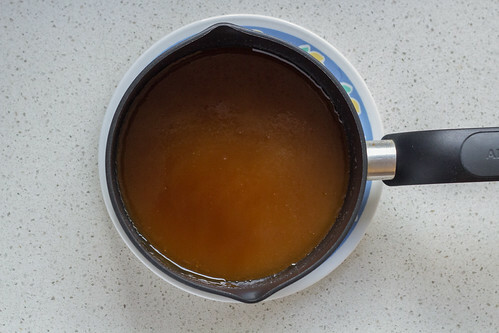 While the caramel is still runny, pour over the top of the entire loaf. 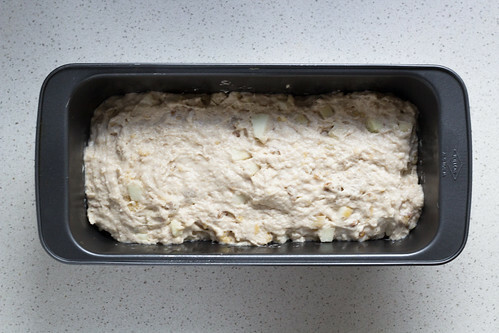 Then bake in the oven for around 45 to 55 minutes or until a toothpick inserted into the centre of the loaf comes out clean. 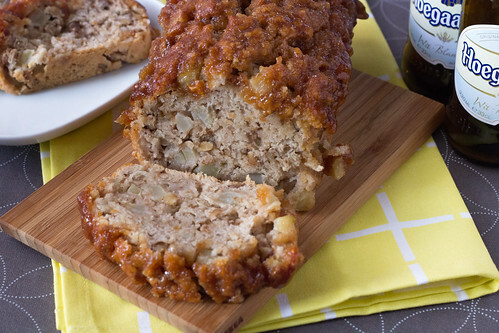 Delicious and so easy to make Caramel Apple Beer Bread that is amazing just straight out of the oven. 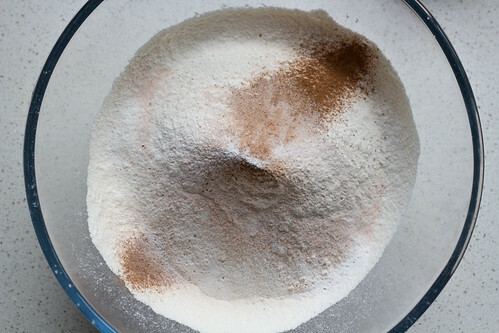 Sift the plain flour, baking powder, salt, sugar and cinnamon in a large bowl. 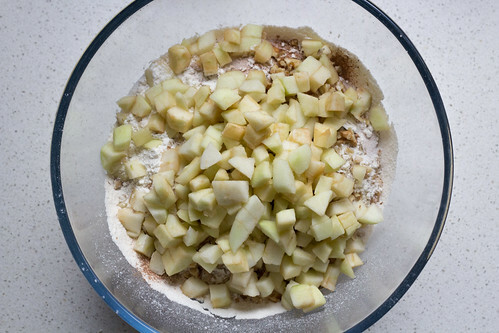 Add in the apple pieces and walnuts and stir until all mixed. Pour in the beer and melted butter into the large bowl and stir until just combined. 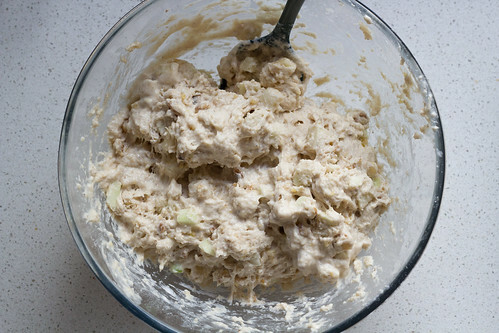 Scoop the bread mixture into a greased loaf pan and set aside. 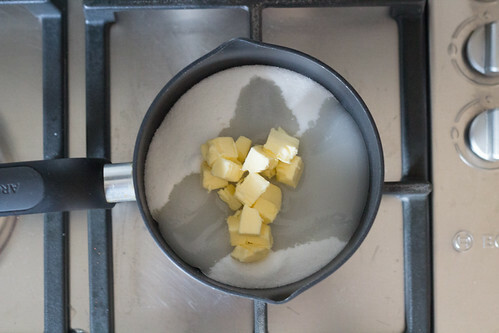 In a small pot, add the sugar, water and butter heat over high heat. Stir the mixture until the butter has melted, then allow to boil without stirring for around 5 to 6 minutes or until the mixture has turned an amber colour. Then remove from heat to cool slightly. 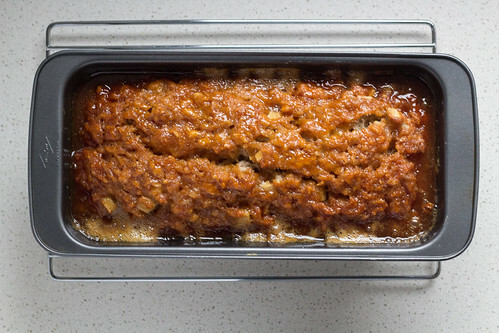 While the caramel is still runny, pour over the top of the entire loaf. Then bake in the oven for around 45 to 55 minutes or until a toothpick inserted into the centre of the loaf comes out clean. 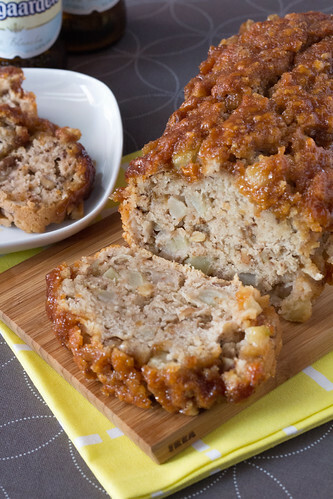 You can add a bit less walnuts and apples to the bread but if you add more, the bread may not hold its shape as well. With Jonker Street seemingly always busy, we decided to try Meals At Jackson’s. I believe it changed management in recent times, but I never actually dined there before the change. Meals At Jackson’s offers a selection of Chinese and Malaysian style dishes like Laksa, Nasi Goreng, Lemon Chicken and Sweet & Sour Pork. I tend to order a Laksa at Malaysian restaurants I’ve never been to before, it seems to be a decent indicator of the quality and authenticity of Malaysian dishes. The Chicken Curry Laksa at Meals At Jackson’s, is unfortunately a disappointment. It has a generous use of curry powder, and lacking in pretty much any other flavour. The shrivelled up long beans don’t make things better either. I guess one of the pluses is that it comes with a lot of chicken pieces. Their Ipoh Combination is decent. Though, an odd addition of Char Siew (BBQ Pork) instead of the typical chicken, or beef which adds this weird sweetness to it. The noodles also lack some of the “wok flavour” too. The Fish Head Noodle Soup was also lacking in flavour. It’s “milky” but it doesn’t have the required sourness from the preserved vegetables and tomatoes to balance it. Quite average. I hope Meals At Jackson’s Chinese style dishes are tastier because their Malaysian dishes are truly mediocre. Want a deliciously, warm and sweet treat for the cold weather? 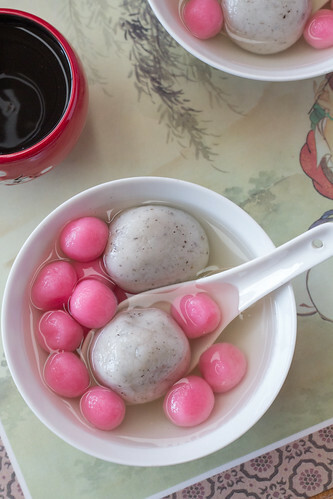 These Chinese dumplings or Tang Yuan are perfect for a cold day. The ginger sugar syrup has a lovely subtle ginger flavour, not too overpowering and the oozy black sesame is always a winner in my book. These dumplings can be made with fillings or without, and that’s really the fun of it all. Well, apart from eating it! 1. 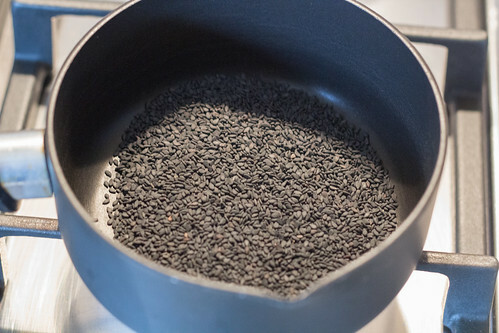 Lightly toast the black sesame seeds over medium heat until it’s aromatic. Take off the heat and let it cool. 2. 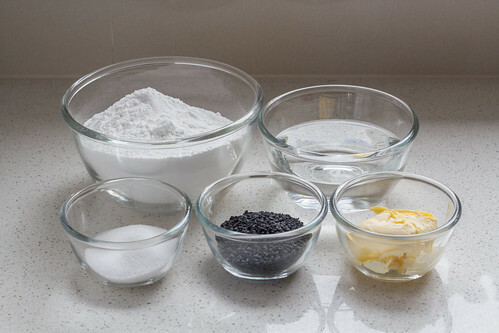 Use a mini food processor to grind the black sesame seeds until it becomes a fine powder. 3. 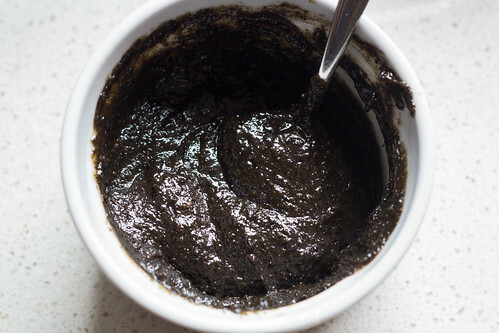 Place the cooled ground black sesame into a saucepan and heat over low-medium heat, and add sugar and butter and stir well to form a thick paste. If it’s too dry, add more butter. 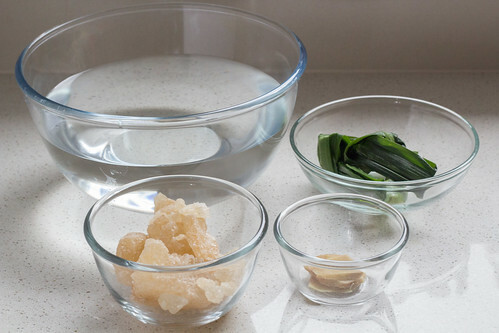 Place the paste into a bowl and let cool in the fridge so it’s easier to fill the dumplings later on. 4. 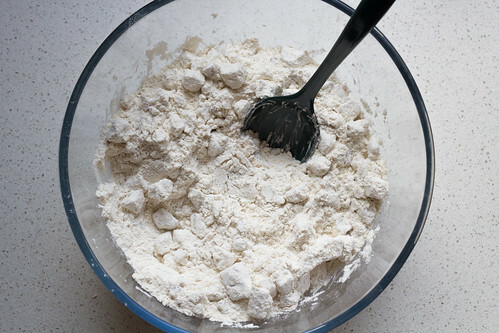 In a big bowl, mix the glutinous rice flour with water (adding the optional black sesame powder too) until it forms a smooth paste and no longer sticks to your hands. Divide it equally into 16-20 balls (the bigger the balls, the easier it is to fill) Note: The coloured dumplings follow similar steps, just add the sugar when adding the water. 5. 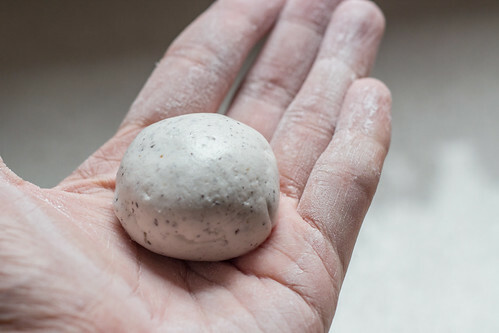 Flatten each ball in your palm, and then spoon in the black sesame paste and lay it in the middle of the flatten ball. Fold the edge to seal the dumpling. Lightly roll it into a ball shape using both palms, very gently and delicately. Set aside. 6. 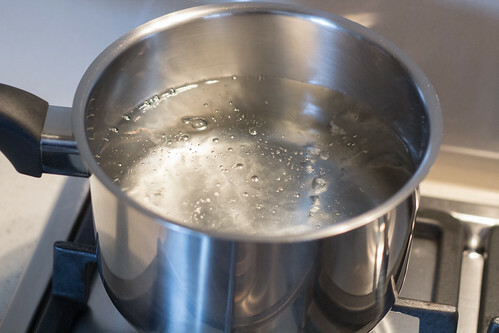 Boil the water on medium-high heat. 7. 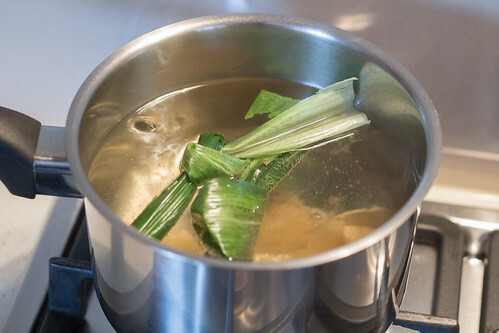 Add the ginger, pandan leaves and rock sugar into the water and boil for 10-15 minutes with medium heat. Lower heat to simmer and reduce to about 4 cups of water. Add more sugar if it’s not sweet enough. 8. Heat up another pot of boiling water. Drop the dumplings into the hot boiling water. As soon as they float to the top, transfer them out and into a bowl of the ginger syrup. 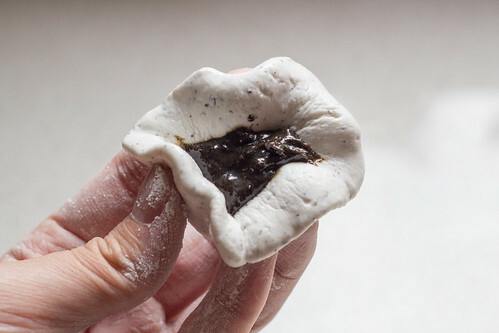 Turn off heat and serve the black sesame dumplings immediately. Want a deliciously, warm and sweet treat for the cold weather? 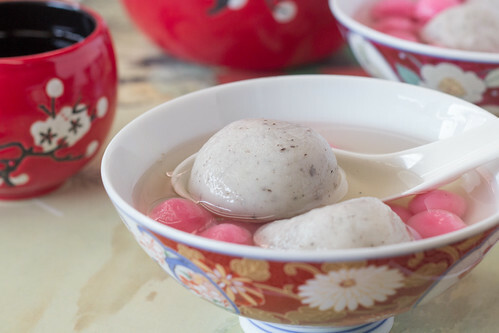 These Chinese dumplings or Tang Yuan are perfect for a cold day. The ginger sugar syrup has a lovely subtle ginger flavour, not too overpowering and the oozy black sesame is always a winner in my book. Lightly toast the black sesame seeds over medium heat until it's aromatic. Take off the heat and let it cool. 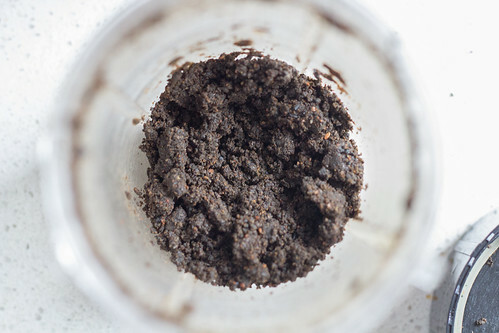 Use a mini food processor to grind the black sesame seeds until it becomes a fine powder. 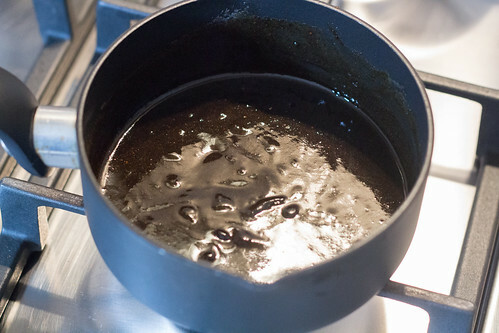 Place the cooled ground black sesame into a saucepan and heat over low-medium heat, and add sugar and butter and stir well to form a thick paste. If it's too dry, add more butter. Place the paste into a bowl and let cool in the fridge so it's easier to fill the dumplings later on. 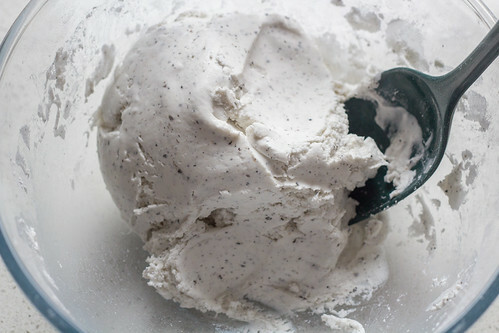 In a big bowl, mix the glutinous rice flour with water (adding the optional black sesame powder too) until it forms a smooth paste and no longer sticks to your hands. Divide it equally into 16-20 balls (the bigger the balls, the easier it is to fill) Note: The coloured dumplings follow similar steps, just add the sugar when adding the water. 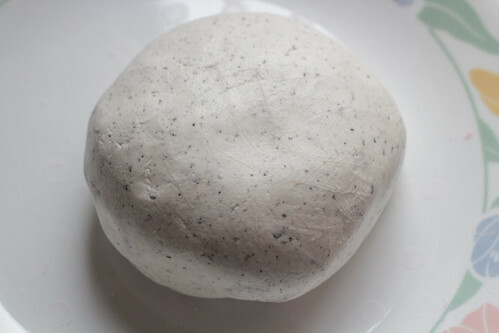 Flatten each ball in your palm, and then spoon in the black sesame paste and lay it in the middle of the flatten ball. Fold the edge to seal the dumpling. Lightly roll it into a ball shape using both palms, very gently and delicately. Set aside. 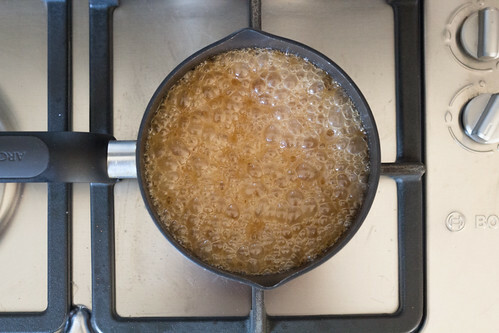 Boil the water on medium-high heat. 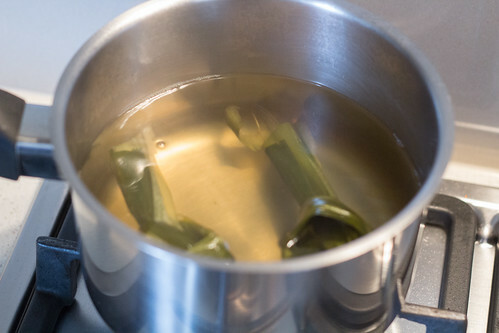 Add the ginger, pandan leaves and rock sugar into the water and boil for 10-15 minutes with medium heat. Lower heat to simmer and reduce to about 4 cups of water. Add more sugar if it's not sweet enough. Heat up another pot of boiling water. Drop the dumplings into the hot boiling water. As soon as they float to the top, transfer them out and into a bowl of the ginger syrup. 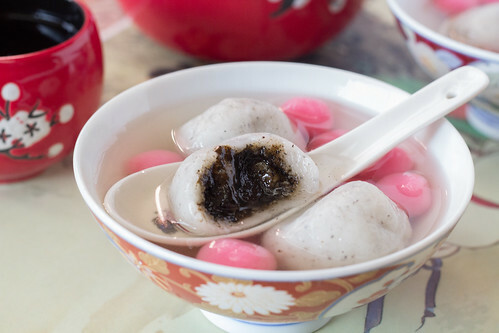 Turn off heat and serve the black sesame dumplings immediately. 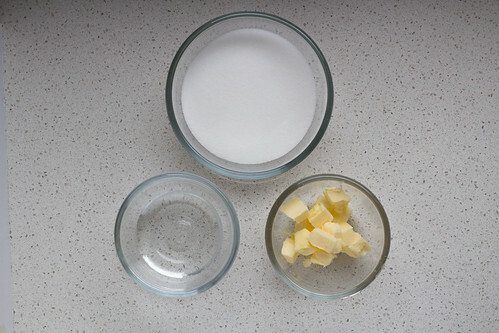 Lard can be substituted for butter if you so prefer, or margarine for a less buttery taste. Try adding less filling first to see if you can close the balls properly, as they might leak if they are not closed properly during cooking. Boil the dumplings in a separate pot to the ginger syrup as the flour from the dumplings may make your syrup cloudy or in the off chance the black sesame bursts out of the dough. Filling-less dumplings uses the same method as the filling dumplings, just adding a bit of sugar for sweetness. 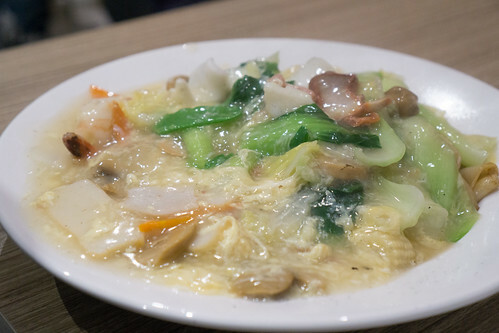 Kim Sing opened its doors earlier this year under new management after Madam Kwan closed down. 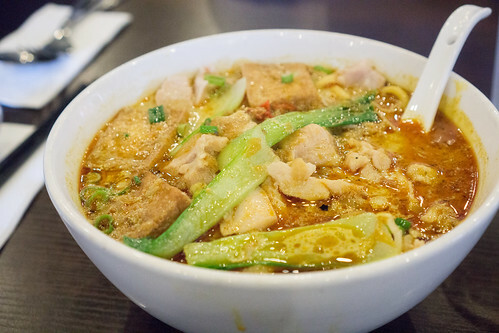 Their menu has been tweaked and a number of menu items have been removed from the menu, but Kim Sing still has a mixture of Malaysian/Chinese style dishes on offer and they advertise itself as Kim Sing, Truly Malaysian Delights. So expectations are high with that statement. More often than not, I always try a new Malaysian restaurant’s Curry Laksa to see if they can trump Laksa King and Chef Lagenda. 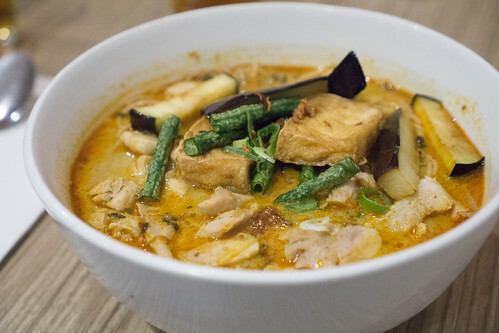 Kim Sing’s Laksa is a letdown, and substantially poorer quality than its predecessor. It has this watery, curry powder flavoured taste to it. A Curry Laksa it ain’t. Their Char Kway Teow is served in a bowl, for some odd reason and with Madam Kwan’s logo still placed on all its crockery. It has that ‘wok’ flavour, so thank goodness for that but there are several oddities with this dish. It uses Char Siew (BBQ Pork) as its protein instead of Lap Cheong (Chinese Sausage). The prawns are tiny, and they don’t add in the deep fried Pork Lard but usually I can live without that. We also ordered it spicy, but no heat to it whatsoever. 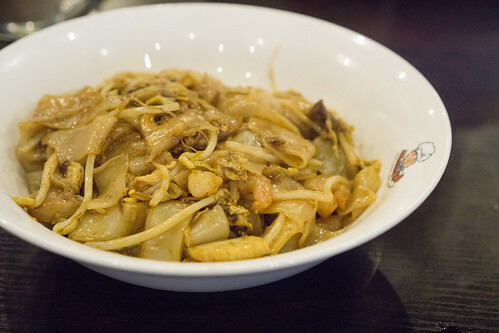 The substitution of Lap Cheong with Char Siew completely changes the taste of the Char Kway Teow. Very strange. 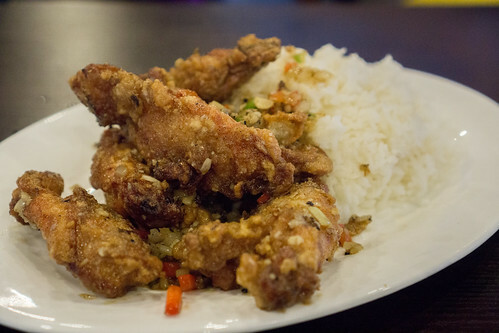 The Salt & Pepper Chicken Ribs with rice was actually quite nice. No chilli, which I think it needs to give it a bit of kick and depth of flavour but the chicken is crispy and still moist but they aren’t very generous with their fried capsicum and onion which I think is needed to give the chicken and rice much needed flavour. Decent but you can probably find better elsewhere in Box Hill. Kim Sing unfortunately does not live up to its Truly Malaysian Delights statement. 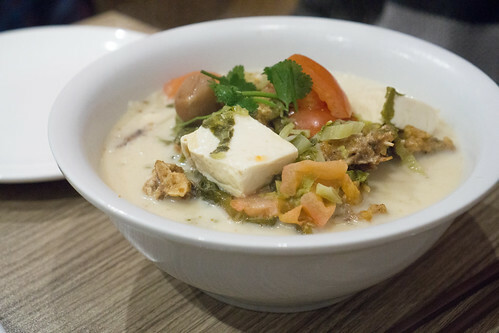 It serves quite frankly, mediocre dishes that are so disparate from traditional Malaysian dishes.